How are students and schools doing in West Contra Costa? The report shows students are not making progress. Large achievement gaps still persist among students from different ethnic and economic backgrounds. There is an urgent need for data-driven evaluation of all programs and reforms in our public schools. Stay tuned for the report in Spanish in the coming weeks. RICHMOND, CA – Today, GO Public Schools West Contra Costa released its second annual West Contra Costa Kids Can report, which analyzes students’ performance in Pre-Kindergarten through 12th grade, in addition to post-secondary outcomes at Contra Costa Community College. 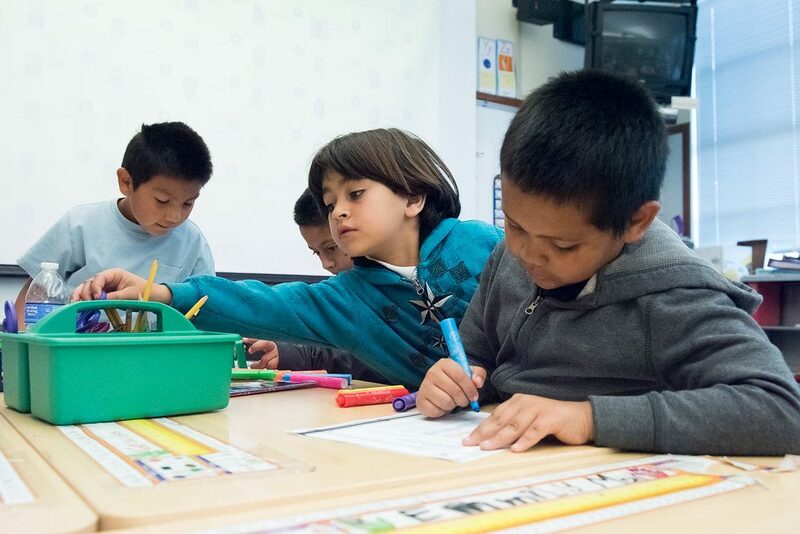 The data reveals a crisis and immediate need to better serve low income students, English Learners, and students of color in West Contra Costa. This year’s report urgently recommends that the leaders and decision-makers of West Contra Costa public schools drive all planning, monitoring, and evaluation of programs, interventions, and services for students with strong evidence and data. The report reveals that the percentage of students on-level in Kindergarten stays low and flat through elementary, middle, and high school — hovering overall at just 1 in 3 students proficient in ELA and 1 in 4 in math. Meanwhile, the performance gap between West Contra Costa students and students across California and Contra Costa County widens each year. This year’s report includes data provided by WCCUSD and charter operators that is not otherwise publicly available. New information includes average student GPA by high school, eighth grade math course enrollment, Science, Technology, Engineering, and Math (STEM) course enrollment, and ninth grade course performance. Nearly half (44 percent) of all ninth graders in West Contra Costa received at least one D or F grade last school year. In 2016-17, only eight out of 537 English Learner eighth graders (1.5 percent) met math standards. In eleventh grade, only seven English Learner students (1.6 percent) did. Low income students (defined as students whose families earn below 185 percent of the federal poverty line) make up most of the total student population in West Contra Costa’s district-run schools (70 percent) and charter schools (81 percent). English Learners make up approximately one-third of students. These student groups often experience and have historically experienced significant gaps in academic achievement and life opportunities.